Villard de Lans is the perfect place for ski holidays for all your family - this French Alps resort is large and pleasant with an active nightlife, therefore everyone will have a joyful vacation. 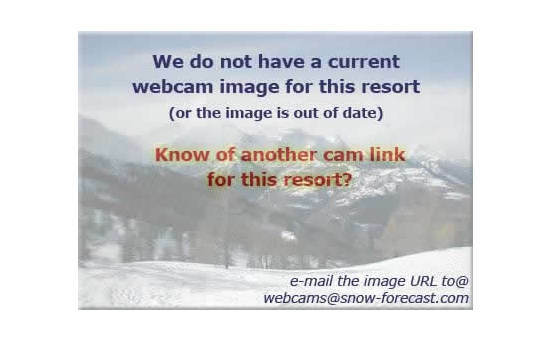 We at Alps2Alps will be more than happy to be your transfer provider to this marvelous ski resort. 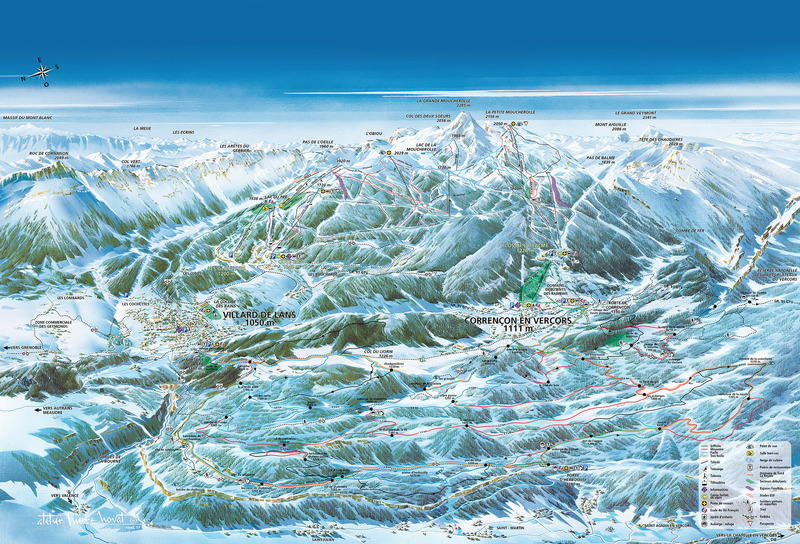 Villard de Lans is one of France’s most established ski resorts with long history. The ski resort is located in the French Alps, in the heart of the Vercors Regional Nature Park. It was created in 1906, nowadays it offers not only world-class skiing experience, but also breathtaking views all around. There are excellent slopes suitable for beginners as well as slopes for experienced skiers, snowboarders can enjoy the snowboard park too - plenty of options for all tastes. There are no direct trains to Villard de Lans. The closest train station to the resort is Grenoble. Daily bus connections from train station to Villard de Lans are provided. When choosing your transfer partner to Villard de Lans, be sure that Alps2Alps will offer the best price possible - our main target is to provide the best transfer service with the lowest price possible. The mentioned factors will only result in our base rate going down and never up. If you are traveling to Villard de Lans in the off-season and off-peak time, you can count on great discounts and remember that if you choose your transfer in midweek (Monday-Friday), the prices can be even up to 60% lower than weekend prices. Apart from factors mentioned before, your transfer price will be also influenced by vehicle availability, transfer schedule, vehicle utilization and other costs like road tolls and airport parking charges. To discuss any specific requirements or plans to travel as part of a larger group, please get in touch directly so we can discuss this. 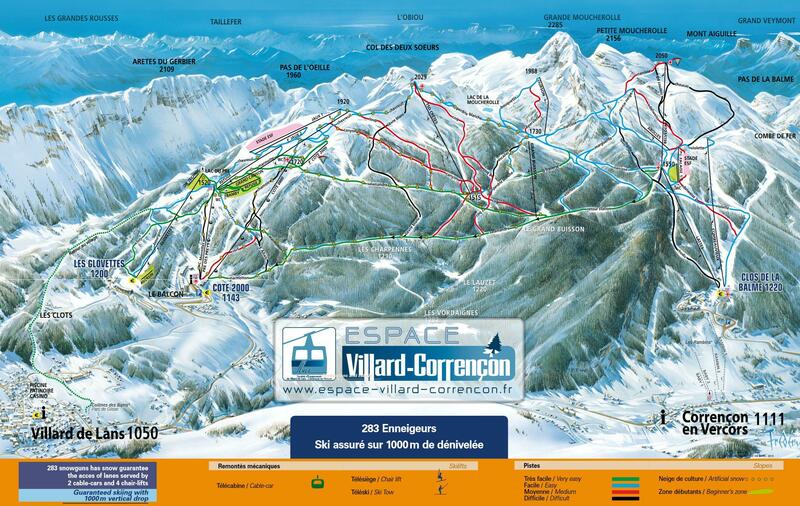 The variety of slopes at Villard de Lans makes it a place to be for all the skiing skill levels, also snowboarders will have a chance to enjoy the snowboard fun park. Villard de Lans is a rich, traditional village which sits in stark contrast to the modern skiing complex. Villard de Lans is made for families in mind. The ski resort is very suitable for families with kids as they can find there everything they need - special programs for youth and kids, play facilities and special low package deals. If you are in search of best possible transfer deal to Villard de Lans, look no further and choose Alps2Alps as your service provider. If you are planning to travel to Villard de Lans during peak season, book your transfer early as they tend to fill up fast. Whatever it takes to get you there on time and in comfort, you can count on Alps2Alps!